Words and Music by Wm Davis Hall. And a baby as well, that none can excel, my little Nell. No gold could compel, or induce me to sell, my little Nell. And should she ask for anything, we've taught her to say "please;"
When her prayers they are said, she jumps into bed, my little Nell.-Chorus. 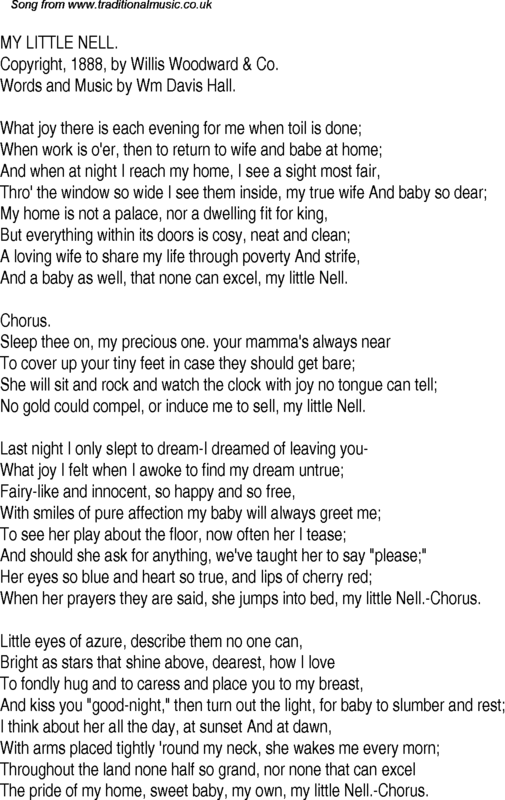 The pride of my home, sweet baby, my own, my little Nell.-Chorus.